ONLINE RESOURCES - 1 If you search for "Ernst Udet" +aviation using Google, (2-16-06), you will find about 12,500 links!! I suggest that you start at the top and visit as many as time permits. "Koeniglich Preussische Jagdstaffel 2 "Boelcke"
This is a remarkable online resource and a fascinating story of his career. It contains many photographs which illustrate his life and is well worth your attention. To access the site, click on the title. Before you leave the site, I suggest that you browse it thoroughly. It is called "Koeniglich Preussische Jagdstaffel 2 "Boelcke" and is the entry point to a rich source of information on the period. It includes sections devoted to Aces, Aircraft, Artwork, Bibliography, Birth of Jasta 2, Books, Commanders of Jasta 2, Pilots of Jasta 2, Webmaster, and much more. THE WESTERN FRONT ASSOCIATION "The WFA was formed with the aim of furthering interest in the period 1914-1918, to perpetuate the memory, courage and comradeship of those of all sides who served their countries in France and Flanders and their own countries and during the Great War. It does not seek to justify or glorify war. It is not a re-enactment society nor is it commercially motivated. It is entirely non-political. The object of the Association is to educate the public in the history of the Great War with particular reference to the Western Front." You will find this to be a very useful resource for information on the period, including a comprehensive section on the air war. To access the site, click on the title. "Ernst Udet +aviation, you will find some 441 links. ONLINE RESOURCES - 2 The website which you will find below was recommended to me by my friend Gregory Powers. It is well worth a visit. 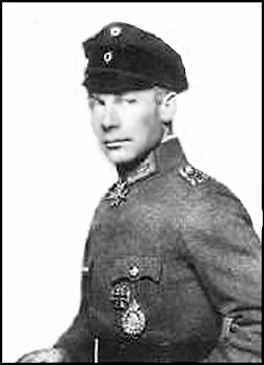 Ernst Udet On this page you will find a very comprehensive summary of his life and career. It is replete with numerous links to other sites which supplement his story. You can access the page by clicking on the title above. Dies Testing New Type of Weapon. Collection of Greg Powers, 1-1-06 Berlin, Nov. 18 (A. PI) .-Col-Gen. Ernst Udet, German flying ace of the world war and Quartermaster- General of the Nazi air force in this war was killed in an accident yesterday while testing "a new weapon," it was announced today. The official announcement said that Gen. Udet was hurt so gravely that he died before reaching a hospital. He was 45 years old. Adolf Hitler, who had named German Pursuit Squadron No. 3 for Gen. Udet in recognition of his achievements, ordered a State funeral in his honor. The time and place have not yet been decided on. Gen. Udet visited the United States in 1931 to participate in the national air races in Cleveland. While there he met Walter B. Wanamaker of Columbus, Ohio, whom he had pulled out of the wreckage of an American plane he shot down in 1918 when he was a major. ...................................................plane factory at Munich, transferring it to Augusburg in 1926. But this apparently was not a financial success, and after that venture he turned to stunt flying throughout Europe and America. Among his adventures were a series of flights over the Alps and !into Arctic regions to assist Leni Riefenstahl, famous German woman motion picture photographer, in filming those regions. His Arctic flights, in the course jof which he was once given up for lost after a four days' absence, were held of outstanding scientific value. Gen. Udet was received by French aviators at the Aero Club in Pans in 1928, the first German flyer so honored after the last world war. When Hermann Goering became Air Minister he advanced Gen. Udet, his world war comrade, to be Vice-Commodore in the German Air Sports Organization and later, upon the establishment of the German air force, to be colonel in it. He was rapidly promoted and was made colone! general, the rank next to a marshal, on July 19, 1940. On Ernst Udet probably more than on any other man fell the responsibility for keeping Germany abreast-and, if possible, ahead-of her enemies in the air. As chief engineer and chief of supply of the Nazi air force, it was he largely who shaped it as a weapon. Most famous of Germany's flying aces to survive the world wvar, he was assigned to the job of driving a small army of German airplane designers to their peak of achievement. The daredevil of world war days-credited with shooting down sixty-two planes-had flown in recent years only to test new types of warplane.When new planes appeared in combat in this war it was Gen. Udet who had ordered them and approved their design. He had a touch of genius both for motors and aircraft design. When he brought an exhibition plane to the United States in 1931 he "timed" the motor by touch for lack of instruments.